How many graduate students do we need? I was wondering what you think about a claim that I sometimes hear in this context – that one of the problems is that universities train too many Ph.D. students. That with a smaller number of math Ph.D. students the above will be less of a problem, and also that this way there will be a smaller number of people dealing with less “serious/important” topics (whatever this means exactly). This question is certainly relevant to the “adjunct issue”. I heard it before, but always found it somewhat confusing. Specifically to the US, with its market based system, who exactly is supposed to decrease the number of Ph.D.’s? The student themselves should realize how useless in the doctoral degree and stop applying? The individual professors should refuse to accept graduate students? The universities should do this together, in some kind of union? The government? All these questions are a bit different and need untangling. It is, simply put, irresponsible to accept so many Ph.D. students when you know graduate teaching may well be the only college teaching they ever do. Of course, Dr. Schuman already has a Ph.D. (from our neighbor UC Irvine) — she just wants others not get one, perhaps to avoid her own fate of an adjunct at University of Missouri. Needless to say, I cannot disagree more. Let me explain. Let’s deal with the easy part. If the American universities somehow conspired to limit or decrease the number of graduate students they accepts, this would be a classical example of anti-competitive behavior. Simply put, the academia would form a cartel. A textbook example of a cartel is OPEC which openly conspires to increase or decrease oil production in order to control world energy prices. In the US, such activity is against the law due to to the Sherman Act of 1890, and the government/courts have been ruthless in its application (cf. European law to that effect). One can argue that universities are non-profit institutions and by definition would not derive profit should they conspire, but the law makes no distinction on this, and this paper (co-authored by the celebrity jurist and economist Richard Posner) supports this approach. And to those who think that only giants such as Standard Oil, AT&T or Microsoft have to worry about anti-trust, the government offers plenty of example of going after small time cartels. A notable recent case is Obama’s FTC going after Music Teachers National Association, who have a non-poaching of music students recommendation in their “code of ethics”. Regardless what you think of that case, it is clear that the universities would never try to limit the number of graduate students in a similar manner. Expecting wide-eyed, mind-loving intellectuals to embrace the eventual realities of their situations has not worked—yes, they should know better, but if they listened to reason, they wouldn’t be graduate students in the first place. Institutions do know better, so current Ph.D. recruitment is dripping with disingenuousness. But can you really be “wide-eyed” in the internet era? There is certainly no shortage of articles by both journalists and academics on the “plight” of academic life – she herself links to sites which seem pretty helpful informing prospective graduate students (yes, even the link to Simpsons is helpful). I have my own favorites: this, that, that and even that. But all of these are misleading at best and ridiculous at worst. When I mentioned them on MO, José Figueroa-O’Farrill called them a “parallel universe”, for a good reason. Now, when it comes to distorting of the labor market, the government is omnipotent and with a single bill can decrease the number of graduate students. Let’s say, the Congress tomorrow enacts a law mandating a minimum wage of $60,000 a year for all graduate students. Of course, large universities have small armies of lawyers and accountants who would probably figure out how to artificially hike up the tuition for graduate students and include it in their income, but let’s assume that the law is written to prevent any loopholes. What would happen next? Obviously, the universities wouldn’t be able to afford that many graduate graduate students. The number of them will plunge. The universities would have to cut back on the TA/recitation/discussion sessions and probably hire more adjuncts to compensate for the loss. In time, this would lower the quality of education or lead to huge tuition increases, or mostly likely a little bit of both. The top private universities who would want to maintain small classes will become completely unaffordable for the middle class. Meanwhile the poorer state universities will commodify their education by creating huge classes with multiple choice machine testing, SAT-style, and further diminishing student-faculty interaction. In fact, to compensate for their increasing cost to universities, graduate students will be asked to do more teaching, thus extending their time-to-degree and decreasing the graduation rates. Most importantly, this would probably have no positive effect on decreasing competition for tenure track jobs, since the academic market is international. In other words, a decreasing american supply will be immediately compensated with an increasing european supply aided with inflow from emerging markets (ever increasing in quantity and quality production of Ph.D.’s in Asia). In fact, there is plenty of evidence that this would have sharply negative effect on prospects of American students, as decreased competition would result in weaker research work (see below). In summary, who exactly would be the winners of this government action? I can think of only one group: lazy journalists who would have many new reasons to write columns complaining about the new status quo. Let’s go back to Schuman’s “it is [..] irresponsible to accept so many Ph.D. students” quote I mentioned above, and judge in on moral merits. Irresponsible? Really? You are serious? Is it also irresponsible to give so many football scholarships to college students if only a few of them can make it to the NFL? Is it also irresponsible to have so many acting schools given that so few of the students become movie stars? (see this list in my own little town). In the previous post I already explain how graduate schools are apprenticeship programs. Graduate schools give students a chance and an opportunity to succeed. Some students do indeed, while others move to do something else, sometimes succeeding beyond expectations (see e.g. this humorous list). What’s worse, Schuman implicitly assumes that the Ph.D. study can only be useful if directly applicable to obtain a professorship. This is plainly false. I notice from her CV that she teaches “The World of Kafka” and “Introduction to German Prose”. Excellent classes I am sure, but how exactly the students are supposed to use this knowledge in real life? Start writing in German or become a literary agent? Please excuse me for being facetious – I hope my point is clear. In effect, this is Adam’s speculation at the end of his question, as he suggested that perhaps fewer mathematics graduate students would decrease the number of “less ‘serious/important’ topics”. Unfortunately, the evidence suggests the opposite. When there is less competition, this is a result of fewer rewards and consequently requires less effort to succeed. As a result, the decrease in the number of math graduate students will lead to less research progress and increase in “less important” work, to use the above language. To see this clearly, think of sports. Compare this list of Russian Major League baseball players with this list by that of Japanese. What explains the disparity? Are more Japanese men born with a gift to play baseball? The answer is obvious. Baseball is not very popular in Russia. Even the best Russian players cannot compete in the american minor leagues. Things are very different in Japan, where baseball is widely popular, so the talented players make every effort to succeed rather than opt for possibly more popular sport (soccer and hockey in Russian case). So, what can be done, if anything? To help graduate students, that is. I feel there is a clear need to have more resources on non-academic options available for graduate student (like this talk or this article). Institutionally, we should make it easier to cross register to other schools within the university and the nearby universities. For example, USC graduate students can take UCLA classes, but I have never seen anyone actually doing that. While at Harvard, I took half a dozen classes at MIT – it was easy to cross register and I got full credit. P.S. I realize that the wage increase argument has a “fighting straw men” feel. However, other government actions interfering with the market are likely to bring similarly large economic distortions of the academic market, with easily predictable negative consequences. I can think of a few more such unfortunate efforts, but the burden is not on me but on “reformers” to propose what exactly do they want the government to do. P.P.S. We sincerely wish Rebecca Schuman every success in her search for a tenure track appointment. Perhaps, when she gets such a position, she can write another article with a slightly sunnier outlook. It’s been awhile since I wanted to rant. Since the last post, really. Well, I was busy. But the time has come to write several posts. This post is about a number of recent articles lamenting the prevalence of low paid adjuncts in many universities. To sensationalize the matter, comparisons were made with drug cartels and Ponzi schemes. Allegedly, this inequality is causing poverty and even homelessness and death. I imagine reading these articles can be depressing, but it’s all a sham. Knowingly or not, the journalists are perpetuating false stereotypes of what professors really do. These journalists seem to be doing their usual lazy work and preying on reader’s compassion and profound misunderstanding of the matter. What is academia, really, if it’s not a drug cartel or a Ponzi scheme? I can’t believe this trivial question is difficult to some people, and needs a lengthy answer, but here it is anyway. This might seem obvious – of course it does! These are the main qualities needed to achieve success doing research. But reading the above news reports it might seem that Ph.D. is like a lottery ticket – the winnings are rare and random. What I am trying to say is that academia can be compared with other professions which involve both qualities. To make a point, take sculpture. There are thousands of professional sculptors in the United States. The figures vary greatly, but same also holds for the number of mathematicians, so we leave it aside. The average salary of sculptors seems to be within reach from average salary in the US, definitely below that of an average person with bachelor degree. On the other hand, top sculptors are all multimillionaires. For example, recently a sculpture by Jeff Koons sold for $58.4 million. But at least it looked nice. 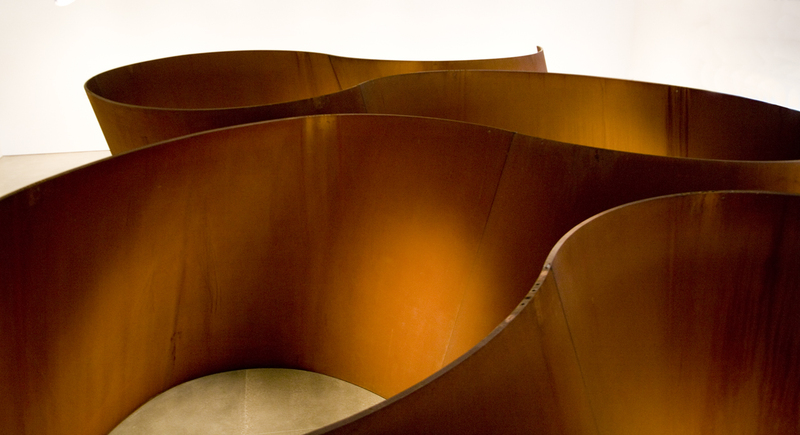 I will never understand the success of Richard Serra, whose work is just dreadful. You can see some of his work at UCLA (picture), or at LACMA (picture). Or take a celebrated and much despised 10 million dollar man Dale Chihuly, who shows what he calls “art” just about everywhere… But reasonable people can disagree on this, and who am I to judge anyway? My opinion does not matter, nor is that of almost anyone. What’s important, is that some people with expertise value these creative works enough to pay a lot of money for them. These sculptors’ talent is clearly recognized. Now, should we believe on the basis of the salary disparity that the sculpture is a Ponzi scheme, with top earners basically robbing all the other sculptors of good living? That would be preposterous, of course. Same with most professors. Just because the general public cannot understand and evaluate their research work and creativity, does not mean it’s not there and should not be valued accordingly. Think of graduate students who are traditionally overworked and underpaid. Some make it to graduate with a Ph.D. and eventually become tenured professors. Many, perhaps most, do not. Sounds like a drug cartel to you? Nonsense! This is exactly how apprenticeships works, and how it’s been working for centuries in every guild. In fact, some modern day guilds don’t pay anything at all. Students enter the apprenticeship/graduate program in hopes to learn from the teacher/professor and succeed in their studies. The very best do succeed. For example, this list of Rembrant‘s pupils/assistants reads somewhat similar to this list of Hilbert‘s students. Unsurprisingly, some are world famous, while others are completely forgotten. So it’s not about cheap labor as in drug cartels – this is how apprenticeships normally work. Think of any large corporation. The are many levels of management: low, mid, and top-level. Arguably, all tenured and tenure-track faculty are low level managers, chairs and other department officers (DGS, DUS, etc.) are mid-level, while deans, provosts and presidents/chancellors are top-level managers. In the US, there is also a legal precedent supporting qualifying professors as management (e.g. professors are not allowed to unionize, in contrast with the adjunct faculty). And deservingly so. Professors hire TA’s, graders, adjuncts, support stuff, choose curriculum, responsible for all grades, run research labs, serve as PI’s on federal grants, and elect mid-level management. So, why many levels? Take UCLA. According to 2012 annual report, we operate on 419 acres, have about 40 thousand students, 30 thousand full time employees (this includes UCLA hospitals), have $4.6 billion in operating revenue (of which tuition is only $580 million), but only about 2 thousand ladder (tenure and tenure-track) faculty. For comparison, a beloved but highly secretive Trader Joe’s company has about $8 billion in revenue, over 20 thousand employees, and about 370 stores, each with 50+ employees and its own mid and low-level management. Now that you are conditioned to think of universities as businesses and professors as managers, is it really all that surprising that regular employees like adjuncts get paid much less? This works the same way as for McDonalds store managers, who get paid about 3 times as much as regular employees. Note that there is a reason students want to study at research universities rather than at community colleges. It’s because these universities offer many other more advanced classes, research oriented labs, seminars, field works, etc. In fact, research and research oriented teaching is really the main business rather than service teaching. Think revenue. For example, UCLA derives 50% more revenue from research grants than from tuition. Places like MIT are giving out so many scholarships, they are loosing money on teaching (see this breakdown). American universities cannot quit the undergraduate education, of course, but they are making a rational decision to outsource the low level service teaching to outsiders, who can do the same work but cheaper. For example, I took English in Moscow, ESL at a community college in Brooklyn, French at Harvard, and Hebrew at University of Minnesota. While some instructors were better than others, there was no clear winner as experience was about the same. So not only the adjunct salaries are low for a reason, keeping them low is critical to avoid hiring more regular faculty and preventing further tuition inflation. The next time you read about adjuncts barely making a living wage, compare this to notorious Bangalore call centers and how much people make over there (between $100 and $250 a month). College professors are different from drug gangsters not only in the level of violence, but also in a remarkable degree of equality between universities (but not between fields!) Consider for example this table of average full professor salaries at the top universities. The near $200,000 a year may seem high, but note that this is only twice that of average faculty at an average college. Given that most of these top universities are located in the uber-expensive metropolitan areas (NYC, Boston, San Francisco, Los Angeles, etc. ), the effect is even further diminished. Compare this with other professions. Forget the sculptors mentioned above whose pay ratios can go into thousands, let’s take a relatively obscure profession of an opera singer (check how many do you know from this list). Like academia and unlike sculpture, the operas are greatly subsidized by the governments and large corporations. Still, perhaps unsurprisingly, there is a much greater inequality than in academia. While some popular singers like Dmitri Hvorostovsky make over $3 million a year, the average salary is about $100,000 a year, giving a ratio of 30+. In other words, given that some professors are much better than others when it comes to research (not me! ), one can argue that they are being underpaid to subsidize the lackluster efforts of others. No wonder the top academics suffer from the status-income disequilibrium. This is the opposite of the “winner takes all” behavior argued by the journalists in an effort to explain adjuncts’ plight. People come to universities to spend years studying, and they want to enjoy those years. They want to hear famous authors and thinkers, learn basic skills and life changing stories, make lasting friendships, play sports and simply have fun. Sometimes this does not work out, but we are good at what we do (colleges have been perfecting their craft for hundreds of years). Indeed, many students take away with them a unique deeply personal experience. Take my story. While at Moscow University, I heard lectures by Vladimir Arnold, attended Gelfand’s Seminar, and even went to a public lecture by President Roh Tae-woo. It was fun. While at Harvard, I took courses of Raoul Bott and Gian-Carlo Rota (at MIT), audited courses of such non-math luminaries as Stephan Thernstrom and William Mills Todd, III, and went to public lectures by people like Tim Berners-Lee, all unforgettable. So this is my big NO to those who want to replace tenured faculty with adjuncts, leveling the academic salaries, and commodifying the education. This just would not work; it is akin to calls for abolition of haute cuisine in favor of more fast food. In fact, nobody really wants to do either of these. The inexpensive education is already readily available in the form of community colleges. In fact, students apply in large numbers trying to get to a place like UCLA, which offers a wide range of programs and courses. And it’s definitely not because of our celebrity adjuncts.